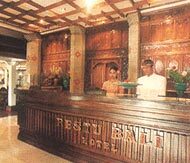 Restu Bali Hotel around 20 minutes drive from the Ngurah Rai International Airport, 40 minutes from Denpasar the capital city of Bali and 5 minutes walk to the beach area, shopping centres, art markets, banks, and the famous night life of Kuta. Bali, the morning of the world as it has been called, is a lovely island with it's people so expressive and friendly. The colourful festivals, art, handicrafts, theatre and music, dominate every face of life. Bali it's tropical climate, lavish gardens, rice terrace and palm fringed beaches. Bali has countless destinations for you to enjoy on day trips. Restu Bali Hotel is located at the heart of Kuta, most popular resort on the island. Boasting golden sandy beaches and beautiful sunsets, Kuta is also renowned as the best surfing destinations.